Looking for the king of SUV’s- the Dodge Durango in the Oklahoma City or Edmond area? Make the short drive north on I-35 to Vance Chrysler Dodge Jeep Ram in Guthrie, Oklahoma. We are just 10 minutes north of Edmond and 30 minutes north of downtown Oklahoma City. 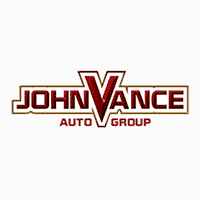 It is worth the drive to see why Vance Auto Group has been faithfully serving Oklahomans for over thirty years. We may sound small town, but we have a big city inventory and a commitment to always put customer satisfaction first. Because we have nine full service dealerships, we have a huge line up of used vehicles to choose from including Durangos. If it’s a brand new Dodge Durango you have your heart set on, come see us in Guthrie. With six models of the Dodge Durango to choose from, we can get you set up in the perfect adrenaline-powered fit for you and your family. Unlike any SUV on the streets, the Dodge Durango SRT® is America’s fastest, most powerful and most capable three-row SUV. It comfortably seats up to seven passengers in luxurious seating. Discover the versatility of seating that can be folded in multiple configurations to offer up to 84.5 cubic feet of cargo space when you fold the available 60/40 Fold & Tumble second-row seat and the available 50/50 split-folding third-row seat. The Durango is also best in class for its towing capabilities of 8400 lb. Sync up and link up with Uconnect 4 which offers the ultimate in technology, entertainment and navigation. Stay connected with available Sirius Guardian, Android Auto, Apple Car Play, and Satellite Radio. Let your crew enjoy the dual 9 inch screen while you drive in comfort. Safety features include ParkView Rear Back up camera, Blind Spot Monitoring System, and ParkSense Park Assist Systems. In fact, the Durango is built so tough; it’s like having a two ton bodyguard protecting you and your family. Come discover all the rest of the reasons to drive a Dodge Durango. Let us show you our Oklahoma neighborliness at Vance Chrysler Dodge Jeep Ram in Guthrie, Oklahoma. Let us help you find the Durango made just for you.